A good hook is bait your readers swallow and have no choice but to read the rest of your essay (with their mouths open). Good hooks for essays intrigue readers and/or appeal to their emotions. The easiest way to get your readers’ attention is to shock them. Striking statistics, breaking news or some extraordinary facts can be great for this purpose. The salary gap between entry level workers with a bachelor degree and a school diploma has never been greater than today. The employees without a college degree earn up to 62% of what college graduates make. All the romantic statements concerning the mental and spiritual connection between people finally received a scientific proof. The recent findings have revealed that human brain perceives ‘we’ as ‘me’. The brain activity of a person who witnesses a threat to a friend or relative is nearly the same as if a person is threatened himself/herself. At least 1 in 4 persons experiences a certain kind of mental health problem at a certain moment in life. Though certain diseases are preconditioned genetically, everyone can be at risk due to certain circumstances. Protecting personal wellbeing is important for everyone, regardless of health history and family background. One more effective way to grab readers’ attention is to tell them right from the start that their personal interest is concerned. The strategies that work best as hooks for essays are danger or gain. In a college cafeteria: “What kind of pie do you call this,” asks one student indignantly. So, make sure to include a hook into your essay or combine a few of the above discussed strategies. 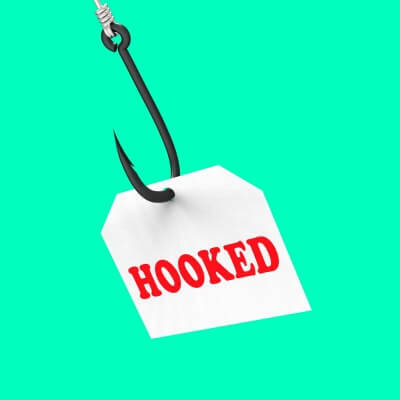 I’m in agreement about “hooking” a reader using personal interest tactics. I can attest to the fact that I am more apt to read an article if the subject matter pertains to me personally. Humor is another great way to communicate. Who doesn’t like to laugh?